Speed. Pinafore is built on Svelte, meaning it’s faster and lighter-weight than most web apps. Simplicity. Single-column layout, easy-to-read text, and large images. Multi-account support. Log in to multiple instances and set a custom theme for each one. Works offline. Recently-viewed timelines are fully browsable offline. PWA. Pinafore is a Progressive Web App, so you can add it to your phone’s home screen and it will work like a native app. Private. All communication is private between your browser and your instance. No ads or third-party trackers. Pinafore is still beta quality, but I’m releasing it now to get early feedback. Of course it’s also open-source, so feel free to browse the source code. In the rest of this post, I want to share a bit about the motivation behind Pinafore, as well as some technical details about how it works. If you don’t care about technical details, you can skip to pinafore.social or read the user guide. I love the Mastodon web app, and I’ve even contributed code to it. It’s a PWA, it’s responsive, and it works well across multiple devices. But eventually, I felt like I could make something interesting by rewriting the frontend from scratch. I had a few main goals. First off, I wanted the UI to be fast even on low-end laptops or phones. For Pinafore, my litmus test was whether it could work well on a Nexus 5 (released in 2013). To be resilient on slow connections, or Lie-Fi, or when offline altogether, Pinafore stores data locally in IndexedDB. To use less memory, Pinafore keeps only a fraction of its UI state in memory (most is stored in IndexedDB), and it uses a fully virtual list to reduce the number of DOM nodes. This not only makes the implementation simpler: it also guarantees privacy. You don’t have to trust Pinafore to keep your data safe, because it never handles it in the first place! All user data is stored in your browser, and logging out of your instance simply deletes it. And even if you don’t trust the Pinafore server, it’s an open-source project, so you can always run it locally. Like the Mastodon project itself, I gave it an AGPL license, so you can host it yourself as long as you make the modified source code available. Pinafore is named after my favorite Gilbert and Sullivan play. If you’re unfamiliar, this bit from The Simpsons is a great intro. Why are you trying to compete with Mastodon? Pinafore doesn’t compete with Mastodon; it complements it. 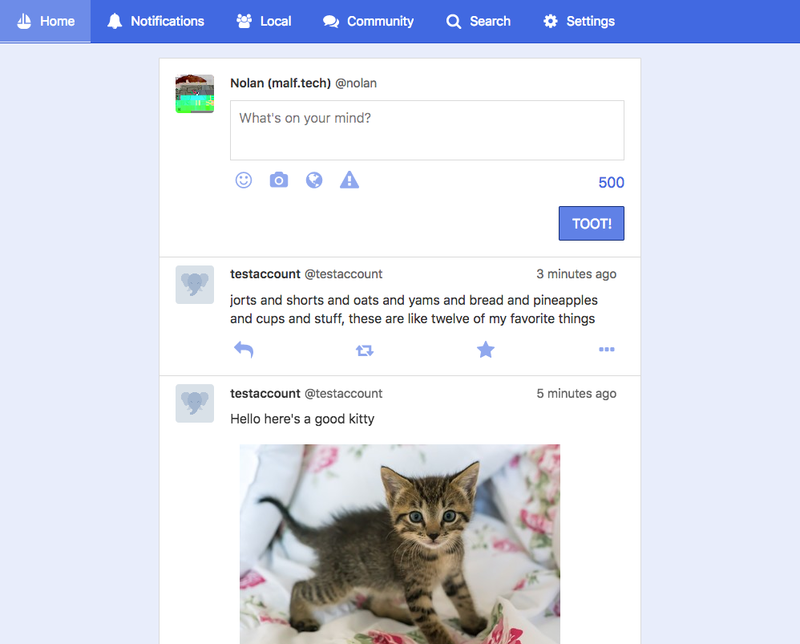 Mastodon has a very open API, which is what allows for the flourishing of mobile apps, command-line tools, and even web clients like halcyon.social or Pinafore itself. One of my goals with Pinafore is to take a bit of the pressure off the Mastodon project to try to be all things to all people. There are lots of demands on Mastodon to make small UI tweaks to suit various users’ preferences, which is a major source of contention, and also partly the motivation for forks like glitch-soc. But ideally, the way a user engages with their Mastodon instance should be up to that user. As a user, if I want a different background color or for images to be rendered differently, then why should I wait for the Mastodon maintainers or my admin to make that change? I use whatever mobile app I like, so why should the web UI be any different? As Eugen has said, the web UI is just one application out of many. And I don’t even intend for Pinafore to replace the web UI. There are various features in that UI that I have no plans to implement, such as administration tools, moderation tools, and complex multi-column scenarios. Plus, the web UI is the landing page for each instance, and an opportunity for those instances to be creative and express themselves. Why didn’t you implement <x feature>? As with any project, I prioritized some features at the expense of others. Some of these decisions were based on design goals, whereas others were just to get a working beta out the door. I have a list of goals and non-goals in the project README, as well as a roadmap for basic feature parity with the Mastodon web UI. Why didn’t you use the ActivityPub client-to-server API? ActivityPub defines both a server-to-server and a client-to-server API, but Mastodon only supports the former. Also, Mastodon’s client-to-server API is supported by other projects like Pleroma, so for now, it’s the most practical choice. None. I wrote Pinafore for fun, out of love for the Mastodon project. How can I chip in? I’m a privileged white dude living in a developed country who works for a large tech company. I don’t need any donations. 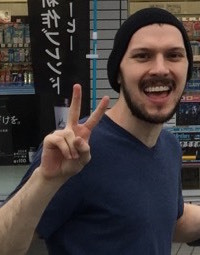 Please donate to Eugen instead so he can continue making Mastodon better! If you’ve read this far, give Pinafore a try and tell me what you think. 2. For the purpose of readable URLs, some minor routing logic is done on the server-side. For instance, account IDs, status IDs, instance names, and hashtags may be sent to the server as part of the URL. But on modern browsers, this will only occur if you explicitly navigate to a page with that URL and the Service Worker hasn’t already been activated, or you hard-refresh. In the vast majority of cases, the Service Worker should handle these URLs, and thus even this light metadata is not sent to the server.